Long awaited ASUS Rampage V Edition 10 Monoblock is here! EK Water Blocks, Slovenia-based premium computer liquid cooling gear manufacturer, is excited to release the most extreme liquid cooling solution for ASUS® ROG Rampage V Edition 10 motherboard! EK-FB ASUS R5-E10 Monoblock is a complete all-in-one (CPU and motherboard) liquid cooling solution for Intel LGA-2011-v3 socket CPU and ASUS ROG Rampage V Edition 10 motherboard. 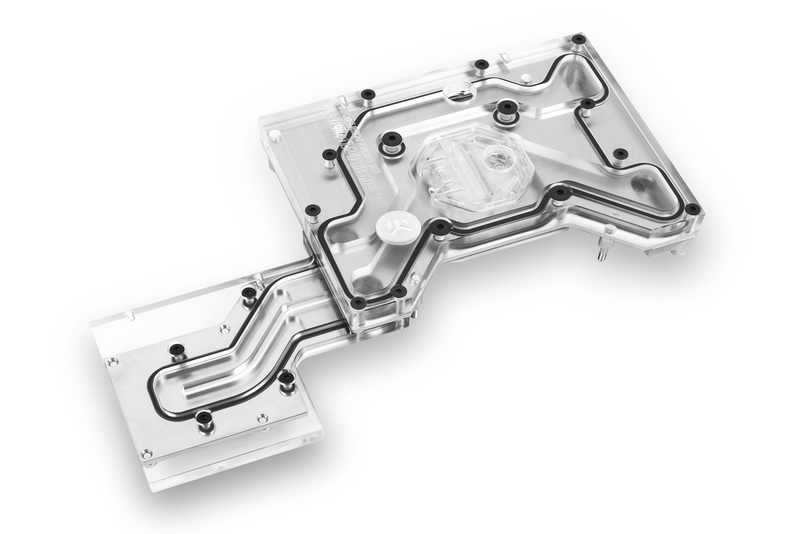 The base of the monoblock is made of nickel plated electrolytic copper while the top is made of quality acrylic glass material. 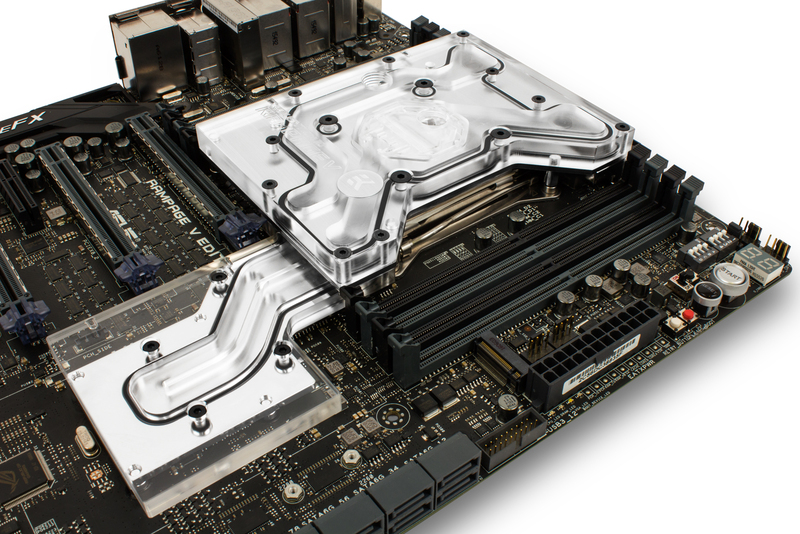 Factory backplate with RGB functionality is compatible with this Monoblock. This monoblock is made in Slovenia, Europe and is available for purchase through EK Webshop and Partner Reseller Network. In the table below you can see manufacturer suggested retail price (MSRP) with VAT included.